The Post Shop | Pilchner Schoustal International Inc. The Post Shop has long been known as a high quality video facility. 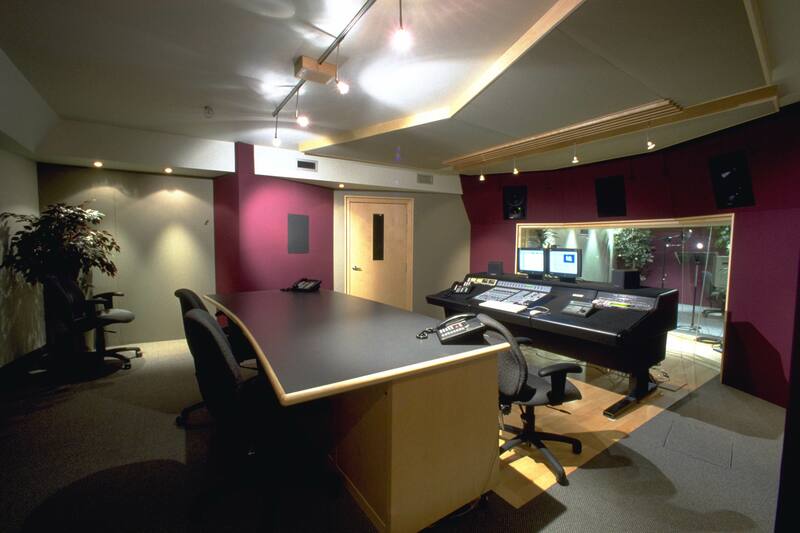 The addition of these modern audio suites extends their commitment to offer full turn-key services. 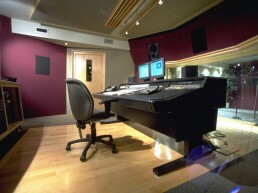 Two full audio studios have been added. 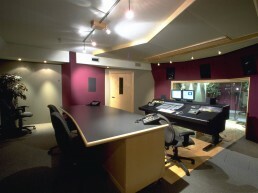 One dedicated to ADR with a control room and voice-over booth. 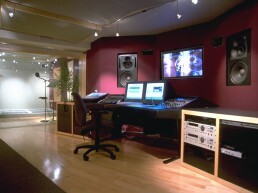 the other dedicated to Foley with a control room and Foley studio. 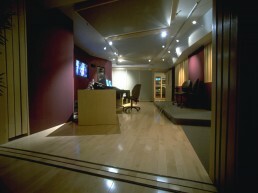 The Foley studio can also double as an additional ADR studio. 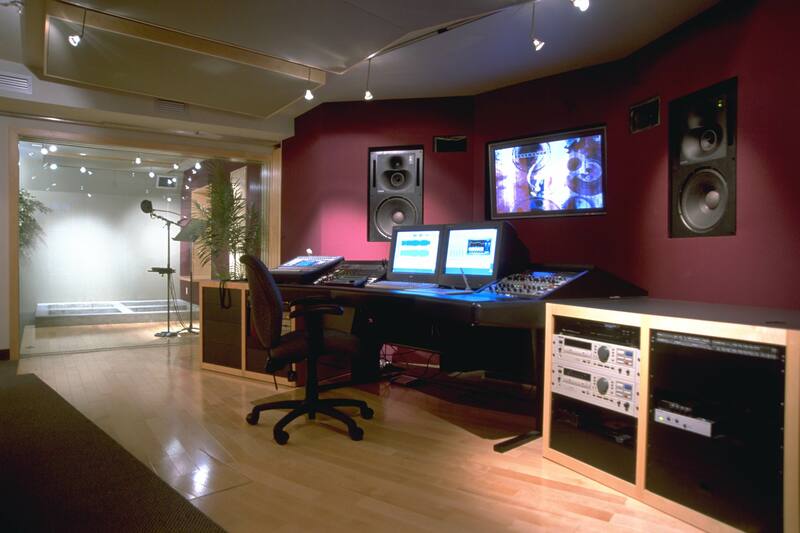 The Foley control room also doubles as a successful music mastering suite. 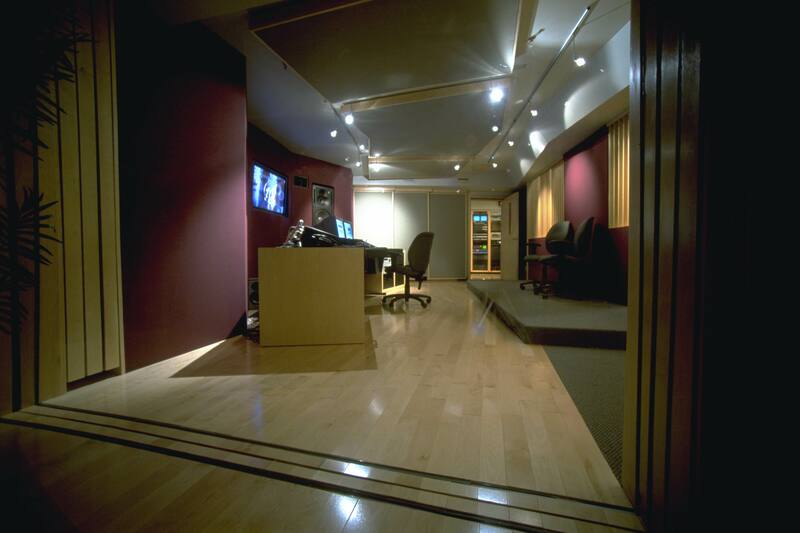 A high degree of sound isolation has been provided as these studios are adjacent to each other. 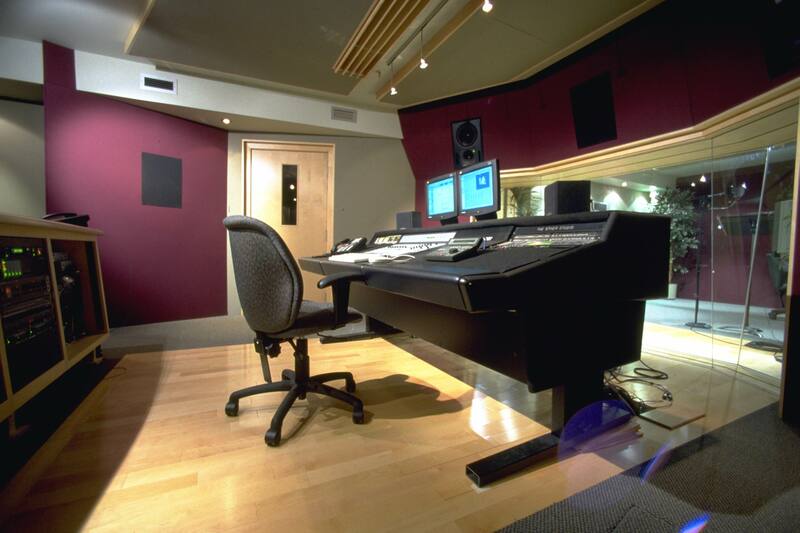 Despite their proximity, excellent sound isolation is achieved, even at highly exaggerated operating levels. The finishes have been kept clean and simple. The use of neutral colored fabrics and natural wood give the space a subdued and comfortable feeling. The spaces feature halogen lighting and floor to ceiling glazing, both of which contribute to the feeling of openness pervasive in both studios.